Because blended learning software provides a steady and immediate flow of data on student performance, teachers can focus more closely on the individual needs of each child. 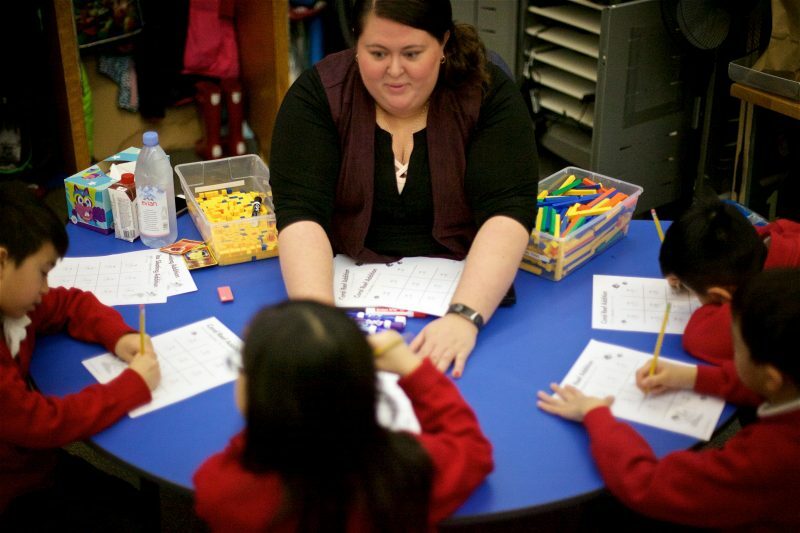 Catholic educators say it has improved student performance and boosted enrollment at the schools that have embraced it, including two in Seattle. The approach, which has been adopted by hundreds of public schools, is a particularly good fit for Catholic schools, said Father Nate Wills, a professor at the University of Notre Dame’s Alliance for Catholic Education (ACE) in South Bend, Indiana. Blended learning has been embraced by a growing number of Catholic schools across the country in the last five years or so. No official count is kept, but interest is very high, according to Pamela Bernards, director of professional development at the National Catholic Educational Association. The blended learning label has been widely used to describe virtually any kind of classroom learning in which technology is used, and Bernards said that a majority of Catholic schools use technology in one form or another. But for organizations like ACE and others that share its mission, blended learning has a more specific meaning. It’s a holistic, integrated approach in which everything a student does online is closely coordinated with the efforts of the classroom teacher. Students spend part of their day working online, part of their day working with the teacher in small groups and part of their day working independently on related materials. Some 50 or more Catholic schools have adopted this intensive, integrated approach — from Seattle to Los Angeles, from Philadelphia to Indianapolis, from San Francisco to Milwaukee. The pace of growth would be even faster, Wills said, but Catholic schools are usually small and independently run, and the startup costs and prospect of sweeping curriculum adjustments can be daunting. “There’s a huge appetite to use technology in a meaningful way, but it’s difficult to do on your own because of the technical and practical changes that have to take place,” he said. Attracting new students is an urgent priority for the nation’s Catholic schools, which have suffered a steady enrollment decline in recent decades due to changing urban demographics and a declining church population, among other factors. Many of the Italian, Irish and German families that made up the backbone of the church have moved from cities to the suburbs and are sending their children to public schools. 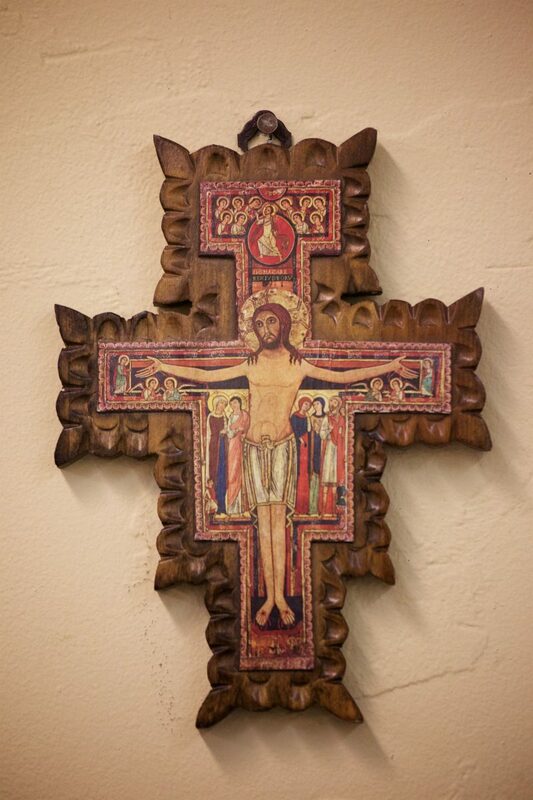 Since 1967, the number of Catholic schools in the United States has fallen from 12,814 to 6,525, according to the National Catholic Educational Association. Since 1967, the number of Catholic schools in the United States has fallen from 12,814 to 6,525, according to the National Catholic Educational Association. The 2008 economic crisis compounded the situation, as fewer families could afford tuition, said Patrick Haggarty, the superintendent of Seattle’s Catholic schools. Since then, more than 1,000 Catholic schools have closed their doors. While none were in Seattle, enrollment has been slowly but steadily dropping in that archdiocese’s 76 schools. Haggarty and other Catholic educators hope that blended learning will help stop the slide. “These schools serve a unique population of at-risk students, and we want to do everything we can to give them added value, in addition to our Catholic values,” Haggarty said. Two Seattle schools that made the switch were among the first to do so, and are pleased with the results so far. St. Therese Catholic Academy, in the Madrona neighborhood, made the transition five years ago. 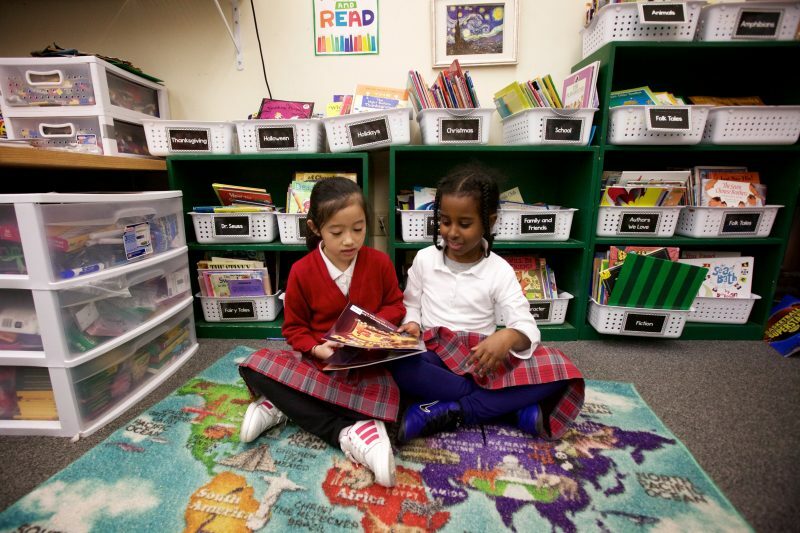 St. Paul School, in the Rainier Beach area, followed suit one year later. Both serve students from pre-K through grade 8, many from low-income households. St. Therese worked with Seton Education Partners, a New York-based nonprofit organization that seeks to strengthen the academic performance of urban Catholic schools nationwide. Seton has made a priority of helping schools overcome the financial and technical challenges of adopting blended learning. Jeff Kerscher, director of Seton’s blended learning network, spent an entire year at St. Therese, helping teachers choose appropriate blended learning software and training them to use it. Overall, Seton says it now partners with 12 Catholic schools in six states, each with a similar demographic profile. Collectively, those schools serve 3,000 children, two-thirds of whom live in poverty and 98 percent of whom are minorities. Since switching to blended learning, Kerscher said, those schools have seen an overall enrollment increase of 30 percent. “And the growth they’ve seen on achievement tests is consistent with some of the highest-performing charter school networks out there, and that’s who we’re competing against,” he added. At St. Therese, the school reports that the proportion of students performing at or above grade level in reading has risen from 68 percent to 84 percent, and in math from 49 percent to 64 percent since 2014. Meanwhile, enrollment has increased from 112 pupils to 145. On a recent day at the school, six students in Mary Brannan’s kindergarten class huddled over their laptops, working on their reading and math skills with a program called i-Ready. Because they’re still learning to read, they listened to audio through headphones while associating spoken and written words with images on their screens. The young students had only recently learned to log on without assistance, and some were still struggling to master the task. Asher guides the cursor to the appropriate images and clicks on each one. Tayler works through the questions with ease, answering each one correctly. Students who haven’t mastered a given skill set can’t move on to the next one. The software will require them to repeat each task until they succeed, posing easier questions, if necessary, to help them grasp the material. Blended learning software spits out detailed data illustrating how each student is performing, allowing teachers to zero in on individual students who need help with particular tasks. The information also allows teachers to differentiate among academic levels, grouping kids together according to how far along they are with particular subject matter. 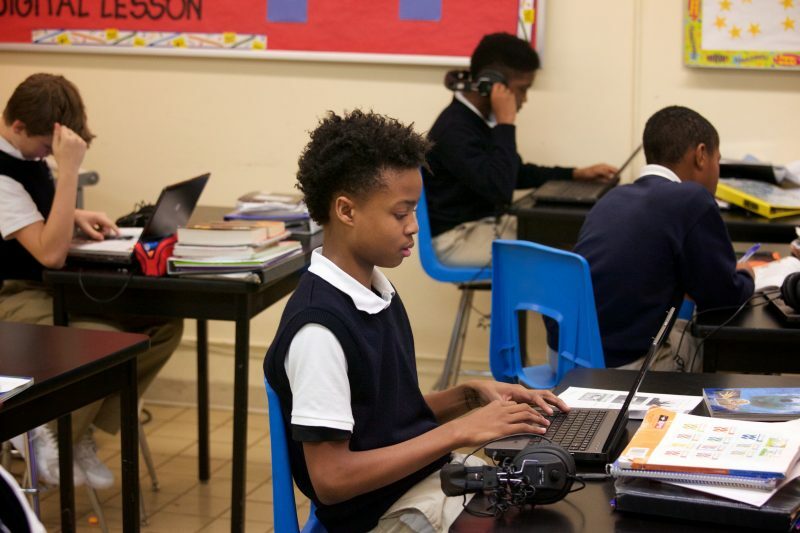 All the schools that partner with Seton use a “rotational model,” in which a classroom teacher makes sure students’ offline learning reinforces what they do on the computer. Nobody spends the entire day in front of a screen. Each class is divided into three groups, and kids move from section to section throughout the school day. On a recent day at St. Paul School, for example, one group in Minh Gavino’s fourth-grade math class worked directly with the teacher, a second group worked independently on laptops and a third group worked together from a textbook. When they were finished, they moved next door for reading, and a class of third-graders took their place in Gavino’s class. At the outset of each school year, the students take a test that provides a baseline assessment of their skills in given subjects. They then set individual goals for the year and are rewarded for their progress toward meeting them. Betsy Kromer, the St. Paul principal, looked on approvingly. “The software gives the kids a lot of positive reinforcement as they go along,” she said. Many St. Paul students come from homes where parents are struggling to make ends meet, Kromer said. The parents often work two jobs and don’t have time to read to their kids or help them with homework. Blended learning, she said, offered a solution. Like St. Therese — whose motto is “Preparing for College, Modeling Christ” — St. Paul has seen a significant improvement in student performance since adopting blended learning. In the fall of 2013, the year before St. Paul adopted the new curriculum, Kromer said, just 37 percent of its students were performing at or above grade level in math, and just 62 percent in reading. By the start of this school year, those numbers had risen to 69 percent and 77 percent, respectively. But the initial shift to blended learning wasn’t easy. It required lots of preparation — and lots of money. Depending on the size of the school and scale of the program, blended learning startup costs can exceed a half-million dollars for the laptops, software, infrastructure and training. Both St. Therese and St. Paul received financial support from the Fulcrum Foundation, a nonprofit organization that raises education funds for the Seattle archdiocese. While blended learning has helped boost enrollment at St. Therese, DeBoer said, he thinks more families are attracted by the school’s diversity. The student body is 49 percent black, 30 percent multiracial, 9 percent white, 9 percent Asian and 3 percent Latino, he said. While many are poor, some have parents with high-paying jobs at Microsoft and Amazon. Blended learning only works, DeBoer added, if a school has already established a culture of discipline and respect among students and staff. When he took charge three years ago, DeBoer was the school’s third principal in just three years. Noisy kids ran through the corridors between classes. One of them even bumped into him while dribbling a basketball down the hallway. Now he polices the halls with a firm but friendly hand, greeting the students by name and inquiring about their academic progress. Just 31, he’s not too far removed from high school himself. “If you don’t have a strong school culture and a strong work ethic, you’re not going to be able to just put a child in front of a computer and expect to change their performance,” DeBoer said. To be successful, blended learning requires a high degree of engagement from the classroom teacher, too, said Elizabeth Anthony, the blended learning project coordinator for Notre Dame’s ACE. 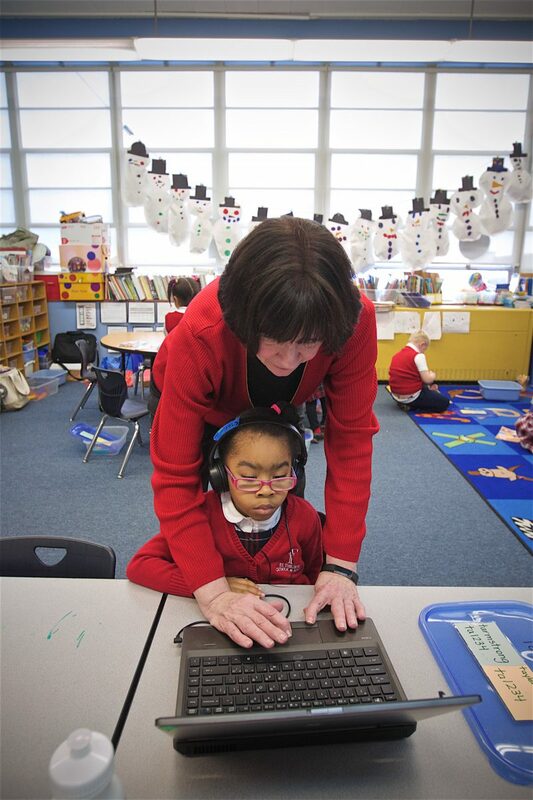 ACE has helped design and implement blended learning programs at seven Catholic schools nationwide, including St. Paul. Like the Seton schools, all of the ACE schools use the rotational model. Many public schools, which typically have greater financial resources than Catholic schools, have started blended learning programs. The transition costs can be prohibitive for parochial schools, which are usually small and independent and often operate on a shoestring budget. That’s where organizations like Seton Education Partners step in, helping to line up funding from foundations (like Fulcrum) and private donors who want to help Catholic schools make the switch. 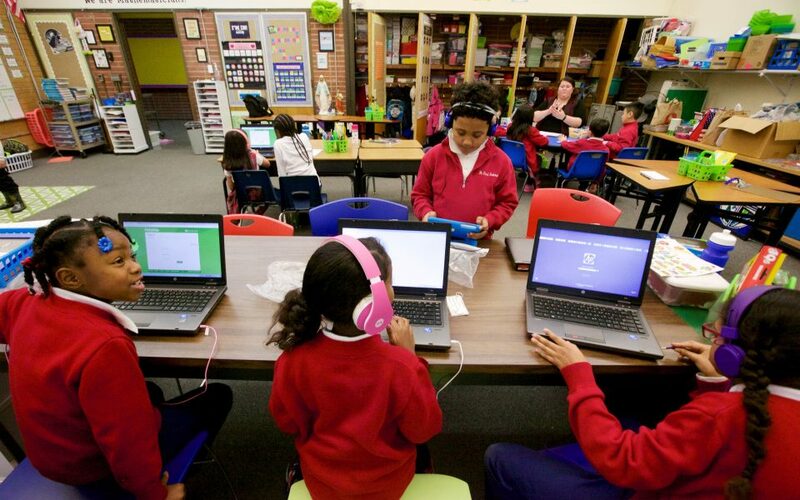 At Saint Anne School, which serves students from pre-K through grade 8 in Santa Monica, California, the total cost of the new blended learning program — hardware, software and training — came to about $500,000, according to its principal, Michael Browning. The school raised $150,000 from family foundations in the Los Angeles area, and Seton raised the rest through various Catholic donors. Browning believes it was a sound investment for Saint Anne, which he said serves students from 66 zip codes across Los Angeles, most of them Latinos. Over the last four years, he added, test scores are up and enrollment has increased from 200 to 266. Like DeBoer and Anthony, Browning cautioned that the secret to blended learning is in the implementation.